That wasn’t a simple cosmetic change. You can drag the nob instead of simply clicking a button. Also this kind of control is present on iCal, and probably other applications. 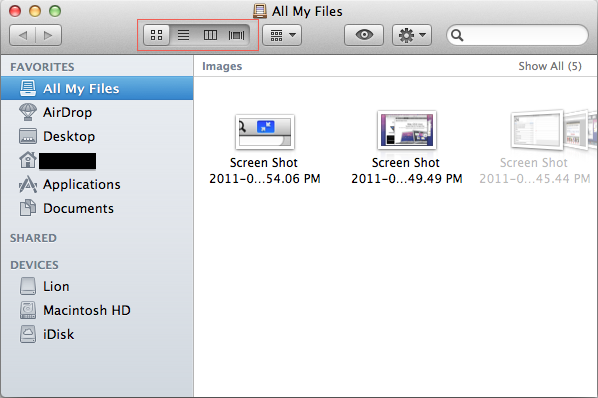 This kind of control doesn’t improve the usability of finder, actually is harder to drag the nob using a mouse. 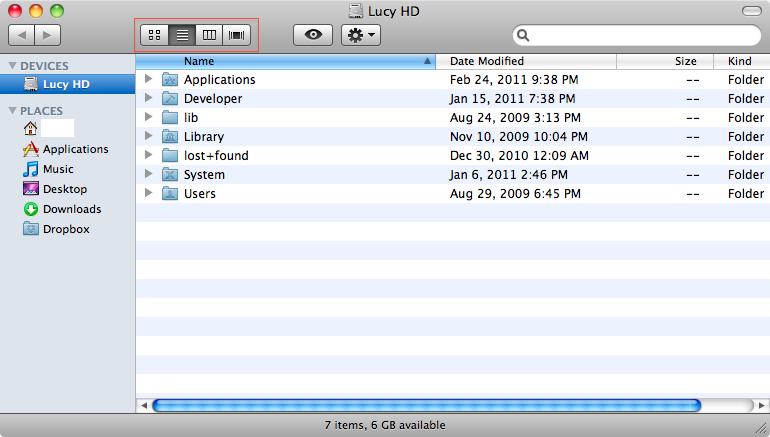 Why did Apple make such a change? Although there must be occasions where touching the screen and still maintaining a physical keyboard might be helpful, for the most part I agree with him. Using multitouch this way should induce arm fatigue and pain. 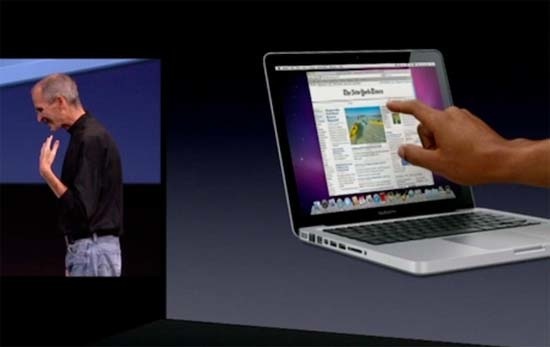 But the multi touch that Steve presented, by using the touchpad, doesn’t make sense either. Moving the mouse to use that kind of controls is quite gimmicky and I doubt apple would make such a thing. That Apple has a iPad-like Mac for test purposes I think is a given. Maybe hidden from view inside a disclosed location in Infinite Loop, but I would be amazed if they didn’t researched such a possibility. But inserting such controls in Lion is a preemptive move, in preparation for some kind of future hardware where you interact with OSX applications using touch.